Usually in the roller coaster story of Capcom, this would be considered bad news. But it’s up in the air what your definition of bad news is. Gamers will classify this as bad news. Capcom today has announced that they plan on using 80 Million yen (presumably) to build two new R & D buildings to focus on developing PC and mobile games. Mobile games I get, Mobile gaming is huge in Japan and the US compared to console gaming and it doesn’t seem to be going away anytime soon. But, PC gaming in Japan is where they lost it. PC gaming is not huge or profitable in Japan…or so some would think unless you do research and find that in the case of Capcom’s PC gaming drive, PC gaming in this case revolves around browser games and online f2p titles for mainland Asia, which Capcom has been having good success with lately and said they want to make more of that, as opposed to $40-$60 Steam releases. Capcom Co., Ltd. (Capcom) is pleased to announce that construction is under way on two R&D buildings located near the Osaka head office building. The appearance of next-generation consoles with a variety of network functions has shifted the focus of sales from conventional package software to digitally distributed content. The profit structure and business model are changing at an increasing speed as a result. Furthermore, the popularity of social games due to the widespread use of smartphones is enabling games to reach more user segments and enlarging the entire game market. To succeed in this challenging environment, Capcom has been focusing resources on strategic and growing areas under a policy of selection and concentration in order to operate with speed and flexibility. Constructing these new R&D buildings will make game development operations more efficient by centralizing these operations and upgrading speed and control. Another goal is to improve quality while holding down development expenses by accumulating development technologies and other knowledge. To accomplish this goal, Capcom plans to hire about 100 developers every year, mostly new graduates, and raise the share of game development work that is performed internally. 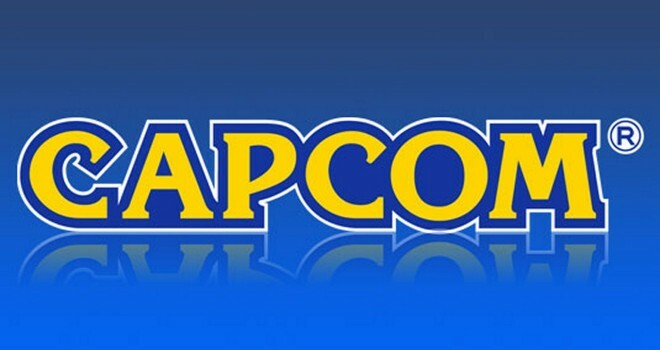 By March 2022, Capcom plans to have a workforce of 2,500 developers. Capcom believes that these actions will give the company a competitive advantage due to the more powerful development capabilities in the rapidly growing mobile content and PC online games markets. The two R&D buildings will have a variety of latest facilities. Examples include a motion capture room, a studio for producing and recording sound effects, and multi-purpose spaces that can hold more than 100 people. Both buildings will use seismic isolation systems for protection even during a major earthquake. The buildings are also designed to be environmentally responsible. One illustration is exterior walls with uneven surfaces on the north and south sides to block the afternoon sun, thereby reducing the energy needed for the climate control system. The two buildings will enable Capcom to utilize its outstanding game development skills even more effectively. Capcom is determined to use the new facilities to create highly original games that can meet the expectations of users. The first building will cost 2.5 billion yen and the second building will cost 5.5 billion yen. We’ve been down this road before. So, please enlighten us in the comments about how Capcom will go under and how a new Mega Man game will make them billions of dollars because of a bunch of angry vocal Mega Man fans. Unlike the entire US half of the internet, I’ve got no beef with Capcom personally, I love Street Fighter, excited for Ultra Street Fighter 4, never liked Resident Evil or though it was good so RE 6 was par for the course. I’m not a huge Mega Man fan either so whether they make a new one or not, I’ll be too busy playing other new IPs to care.